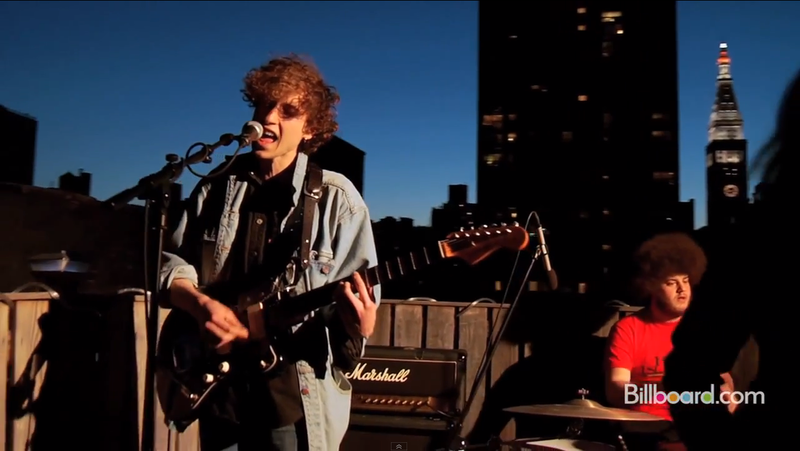 Rubber takes on a new life when it’s performed live, specifically the Rooftop Session version filmed by Billboard. The band reworks the song by performing it slower than originally recorded. It’s as if the more aggressive presence of the album version has gained hope and naivety, slowing down its pace and enjoying the journey of life in all its glory and horror. Its not that the album version isn’t incredible, that’s not in the least bit true. There is a forceful nature of the pedal experimentation and the drowning vocals in a sea of crashing distortion that the band eliminates from the live Rooftop Session version. It’s that particular reworking of the aggression of the song that is so haunting yet enticing. It’s as if they've transformed the song, becoming possessed with the irony of a passion-filled lullaby bellowing out from a depressed drunkard across the street. There is this unspeakable beauty in the balance of being content and apathetic, between melancholy and elation, between happiness and despair. The words are more intelligible and can be picked out and understood more deeply. The album version coats the lyrics in a concoction of fungus fuzz and grime, leaving the chance of comprehension of the words at a near four on a scale from one to ten. Instead, the vocals during the live show travel through a strainer giving us only the most essential sound waves of Blumberg’s voice. The visuals obviously add another dimension to the live version, which goes without saying. Images fill your head of Blumberg’s strained neck as he whines the lyrics “put me on a chain/change my name/and lead me to/the place that I need to go”; his previous apathetic demeanor then turns into intense emotion. Jonny, the drummer, is phenomenal when it comes to syncopation. His drum line throughout the whole piece is another key element in addition to Blumberg’s vocals, a surprising addition given how it sounds like the backing beat for an A Tribe Called Quest song that's smoked a bit of pot and decided to chill out and relax. And, no doubt, the pedal experimentation in the background that the lead guitarist fools around with during the whole track gives the song an echoing feel, like thoughts that have been bouncing around in your head for years finally reveal themselves in a jumbled and indecipherable manner. Although it wasn’t the most engaging part of the performance, the outro starting at 7:22 was the deal breaker for me. Each individual artist in the band really goes into their own leaving the resulting mess of noise unsalvageable, damned to its own awesomeness. Mariko, the bassist, is probably my favorite out of all four members during this part of the performance. At one point, she sways back and forth with her head cocked to the side, bass shooting up vertically in the air, completely immersed in the world of noise that they’re creating. I catch myself doing exactly the same thing when I listen to this song. Whether it is in the worst of circumstances, or during some of the best moments of my life, this song has always found a way to creep right up into the foreground of the atmospheric fog of my perception.